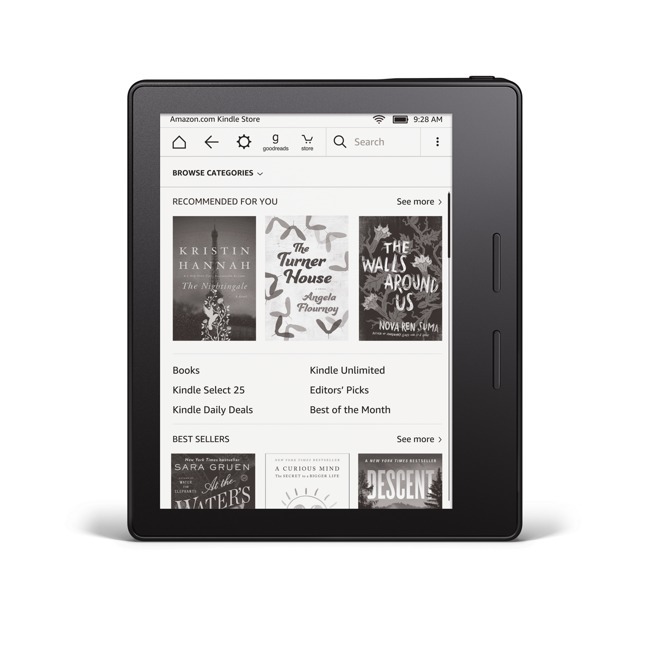 In announcing the Oasis on Wednesday, Amazon said its ultimate goal is to make the hardware eventually "disappear," delivering the simplest possible experience for readers. In the retailer's words, the Oasis is "another step toward this mission," weighing in at 4.6 ounces and measuring 3.4 millimeters at its thinnest point. In order to achieve this svelte design, Amazon trimmed battery life on the Kindle itself, and developed a new dual-battery design. The Kindle Oasis ships with an included charging cover that delivers "months" of uptime, according to Amazon. In addition, the Oasis features a new hibernation mode that minimizes power consumption when the device is inactive, maximizing reading time without the charging cover. The new Oasis features the same 6-inch, 300-pixel-per-inch display as the Kindle Voyage. But it also includes 10 LEDs with "enhanced page consistency," an improvement from the 6 LEDs in the Voyage and 4 LEDs in the Paperwhite. Perhaps most noticeable about the Oasis is its unique asymmetrical design. 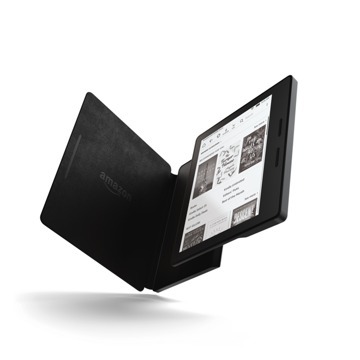 Amazon says the new Kindle was designed to rest in a reader's hand like the spine of a book, balanced for one-handed reading. "To lean back and read for hours, you need a sanctuary from distraction," said Amazon Chief Executive Jeff Bezos. "We want Kindle to disappear, and Kindle Oasis is the next big step in that mission. 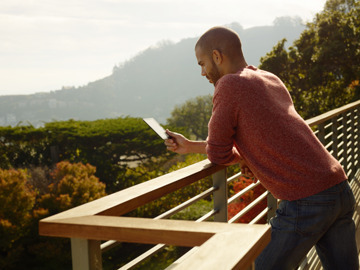 It's the most advanced Kindle we've ever built--thin and ultra-lightweight, it gets out of the way so you can lose yourself in the author's world." 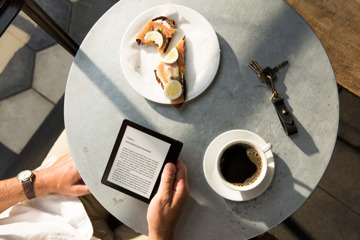 At $289.99, the Kindle Oasis is Amazon's most expensive e-reader. The Kindle Voyage remains available for $199.99, the Kindle Paperwhite is $119.99, and the entry-level Kindle is $79.99. The $290 Kindle Oasis is actually more expensive than Apple's iPad mini 2, which the company continues to sell for $269. Of course, while Apple's iPad features iBooks and can even access a user's Amazon Kindle account for e-books, the iPad offers much greater functionality with a full-color 7.9-inch display, while the Kindle is intended solely for reading books in black and white.